Wine Review: 2007 L Mawby Cremant Classic Brut | Wine Splash! 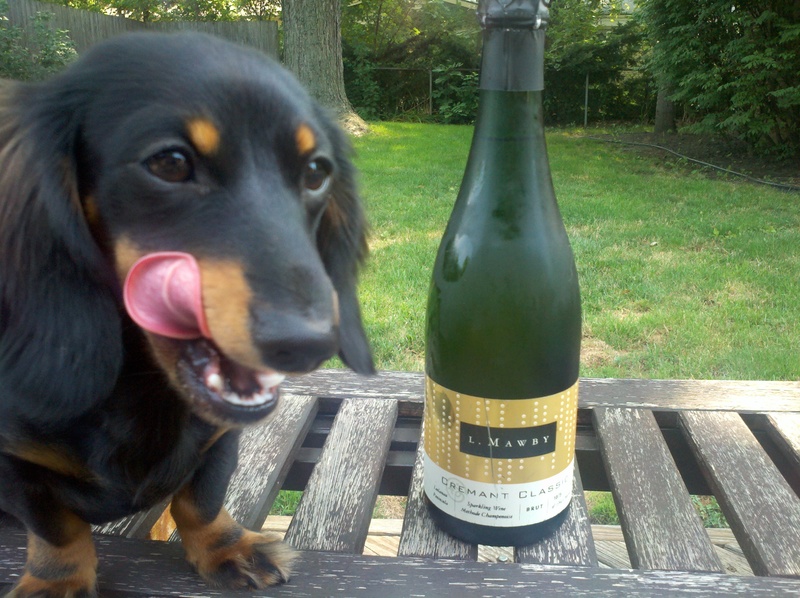 Wine Dox Daisy Loves L Mawby Bubbly’s! 8/2/2012 rated 88 points: We opened this bottle last night to celebrate my girlfriends new job! L Mawby is one of the names we always look for when we are in the mood for a sparkling wine! All his bubbly’s are great and you can tell he uses local grapes and the quality is always there. We are proud to say it is a Michigan sparkling! When we poured the Cremant into the glass, it was a light golden color with lots of festive bubbles. On the nose, lots of ripe apple, citrus, and yeasty notes. Perfect for a hot summer evening! On the palate, more fresh apple, pear, almonds, and a toasty finish. Full bodied with a full, creamy (yet bubbly) mouthfeel. Nice long finish that arouses your senses and makes you want more! Pair with shrimp cocktail, medium cheeses, or a fresh salad. Many champagnes and sparkling wines are made with chardonnay or pinot noir, but Larry Mawby used 100% estate grown Vignoles from the Leelanau Peninsula AVA. Very interesting and very flavorful! This is a sparkling you can celebrate with, have with appetizers, or enjoy relaxing on the patio. It is fun, festive, and it really is a “Party in your Mouth”! We are always impressed with the Mawby sparklers and always have a couple bottles in my cellar. You really can’t go wrong! On our SiNoTas scale we give the 2007 L Mawby Cremant Classic Brut a B+. Wine Dox Daisy gives it 4 Paws out of 5! The flavor profile was correct but I wish we had opened this wine earlier in the year. If you have a 2007, I would drink it by the end of 2012 to get the best flavors. Maybe it will be your New Years Eve Sparkling this year! WineSplashing!